The title pretty much explains everything. 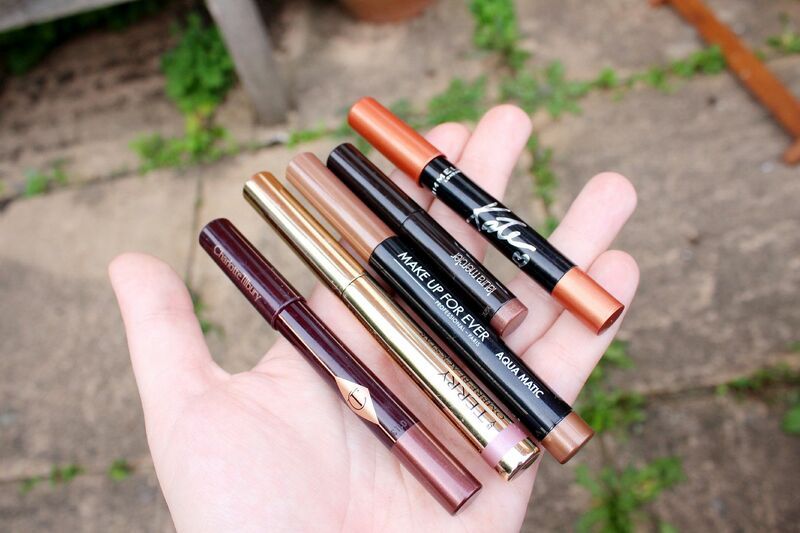 I am obsessed with eyeshadow crayons at the moment – they are just so perfect. Easy to slick on in one go, layer under shadows, smudge under the bottom lash line… endless possibilities, infinitely pretty. I’ve amassed quite the collection… here goes. The most expensive product award goes to By terry… the ombre blackstars. Misty rock is my favourite, as the shade is a gorgeous pinky mauve colour. As with all crayons, I like to scribble it all over my lid and smudge it under my lashes and then hope for the best. The By Terry ones last particularly well, especially as a base. Similar is the Make up for ever aqua matic… I can’t find a shade name on this one, but it’s a bronzey-taupey sort of shade. Nothing revolutionary, but the formula is so nice. Stacey recommend these to me, and I can see why. The Charlotte tilbury crayons (bronzed garnet shown here) are similar to the MUFE, but much softer and with more shimmer. This is an especially gorgeous shade! I have one of the Laura Mercier crayons, that I got in a mini set, and I like it although it’s nothing special and does not compete with the By Terry ones. Lastly the drugstore one… the Rimmel x Kate Moss in rose gold. Unusual colour, OK formula. Doesn’t last all day, but with primer and layered under a shadow it is nice. 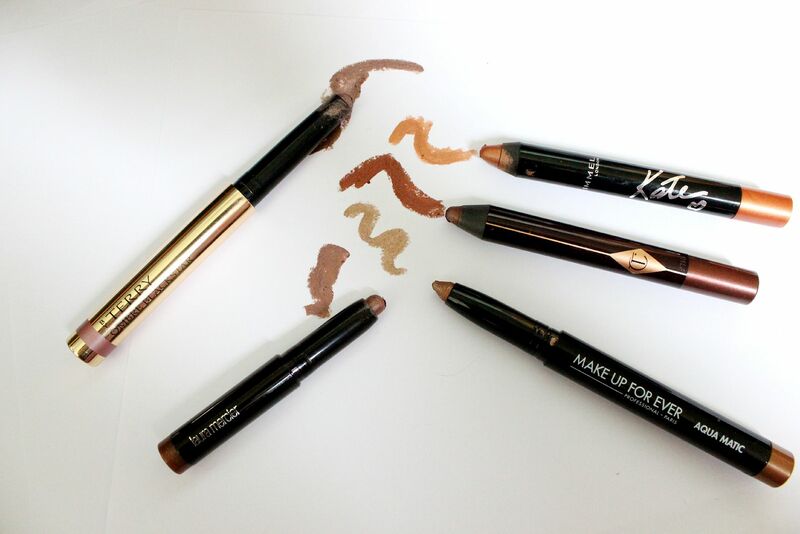 Do you love eyeshadow crayons? Any other recs?